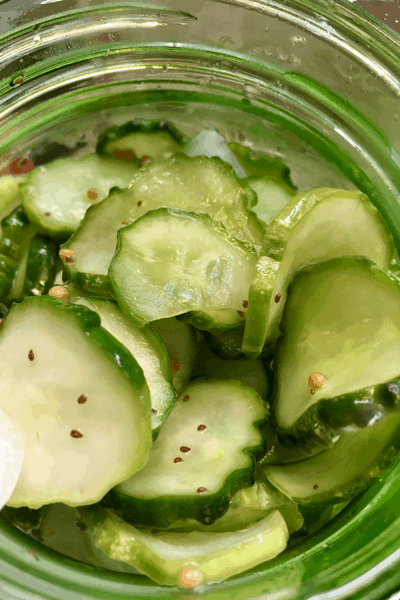 10 Delicious Ways to Preserve Cucumbers That Every Home Gardener Should Know! Ahh….the cucumber. One of my very favorite things to grow. And anyone who grows cucumbers knows that even just one plant can land you in cucumber overload. So if you are looking for ways to preserve cucumbers- this is the place! Here are 10 delicious ways to preserve cucumbers so that none of that cucumber goodness goes to waste! If you are looking for ways to use fresh cucumbers check out this post: 30+ Fresh Ways to Use Cucumbers + How to Store Them! Are you looking for something new and unique to do with your cucumber harvest? Why not preserve your cucumbers by making some cucumber jelly? It’s sweet and tangy and pairs great with savory meat dishes or a simple snack of cheese and crackers. 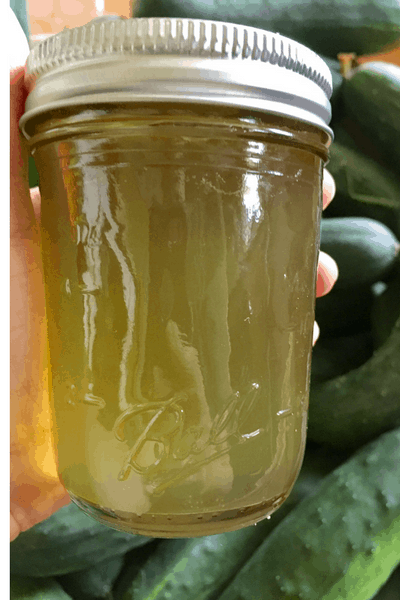 Get the recipe for Cucumber Jelly– includes directions on how to can it using a boiling water bath canner! Another unique way to preserve your cucumbers is to make cucumber muffins (or bread). It’s reminiscent of zucchini bread and is tastes of cucumber and spice. These muffins freeze well for quick and easy breakfasts before school. Or to put in the lunch box to eat on your lunch break! Get the recipe for Cucumber Muffins! Want to preserve MORE food this year? Get my Food Preservation Planner to help you plan your family’s food needs and save time by helping you preserve more efficiently! These dehydrated cucumber chips are a simple and shelf-stable way to preserve cucumbers without canning. You can keep it simple with just a little salt or pepper. Or spice it up a little by mixing up different flavors. Learn how to make Cucumber Chips! If you don’t feel like canning, you can preserve cucumbers quite easily by making easy refrigerator pickles. They are very quick to make, no prior experience needed. And best of all they still last nearly 2 months in the fridge! Learn how to make Refrigerator Pickles! Want a fresh way to use cucumbers? Try cucumber water! Read all about the benefits of cucumber water and get 14 refreshing cucumber water combinations to try! Cucumbers are full of nutrition and the juice captures most of that goodness. 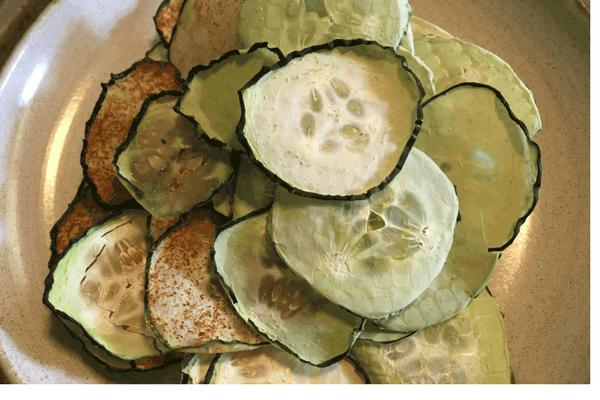 If you have a juicer, try sending your cucumbers- skins, seeds, and all- through. You can use the juice to make smoothies, in cucumber jelly, freeze ice cubes of it for a cucumber splash to your sparkling water. Or simply add frozen cubes of cucumber juice to any of your favorite smoothie, slushie, or homemade juice mix! Who doesn’t love a hot dog or bratwurst covered in relish? 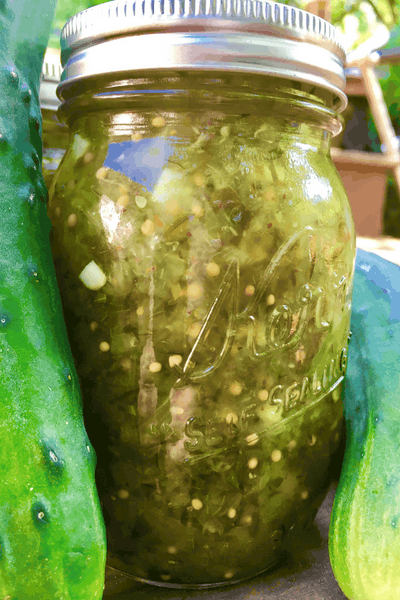 Pickle relish is a great way to preserve your cucumbers. It’s slightly sweet, acidic, and is the perfect addition to a fall cookout or barbeque. Get the recipe for Cucumber Relish! How about preserving cucumbers in a sweet and refreshing way? This Cucumber Sorbet from The Little Epicurean looks delicious! And a perfect way to cool off in the summer AND use up all those cucumbers. 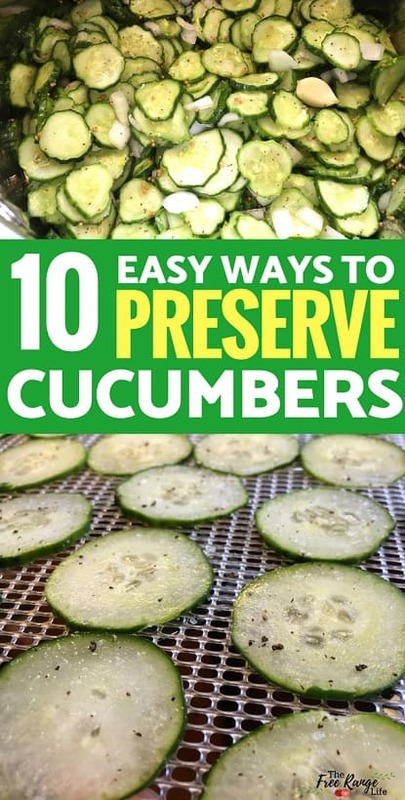 There you have it- 10 ways to preserve cucumbers that should satisfy the needs of any home gardener! Which way is your favorite way to preserve cucumbers? Have you canned your cucumber salsa? I have many cucumbers to use. To many for one 2 cup recipe. Please help!